Throughout the Wessex area there are numerous war memorials and rolls of honour dedicated to those men and women who fell in the Great War. This section of the website will feature a selection of articles on these memorials. 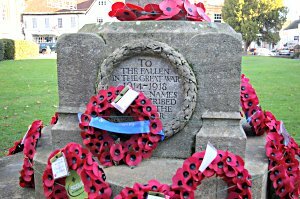 The Wootton Fitzpaine War Memorial Restoration Project.